Attorney Rausch has been engaged in the general practice of law in York for over 30 years. Similar to your family doctor who can diagnose and treat a number of medical problems, a general practitioner can diagnose and treat a number of your legal problems. Attorney Rausch started practicing law at a time when most lawyers did just about everything for their clients – write contracts, conduct real estate settlements, form business entities, prepare wills and trusts, assist with estate administration, and file or defend lawsuits. Attorney Rausch also represents a number of local municipal bodies where many different areas of the law come into play. At times, dealing with local government can be exasperating since each municipality has its own rules and regulations to navigate. When you add to that state and federal laws and regulations, the task of obtaining governmental approval can be overwhelming for the average person or business. That is where Attorney Rausch comes in. He knows the ropes when it comes to land use development and zoning. He knows what local governments can and cannot do. So, if you need help navigating the rocky waters of local government, let Attorney Rausch help captain your ship. He can get you safely to your destination. Why do people buy a home – one of the most significant assets they will own – and do not use an attorney? A real estate agent will sell you a home, and then direct you to an in-house settlement company to complete the transaction. But, the question is, “Who is looking out for you?” If you need title insurance, and most buyers do, using an attorney to handle your settlement does not cost you any more money. What it does buy you is an advocate who is looking out for you, and only you. Attorney Rausch would like to be that advocate for you. So, you want to start a business. What should it be – a sole proprietorship, a partnership, a corporation, a limited liability company? Sure, you can go on the web and find a do-it-yourself site to fill out the forms. But, the reality is that filling out the forms is the easy part. How do you know that the type of entity you selected is the right one for you? And, once you created your entity, then what? Aren’t you better off checking in with an attorney who has done this before, and can help you figure out the best solution for your needs? Attorney Rausch would like to be your attorney. Attorney Rausch is an American Arbitration Association® trained mediator and is able to assist parties in resolving their dispute or conflict through the mediation process. As a mediator, Attorney Rausch acts as a neutral third party to assist the parties in opening communication to facilitate negotiations. 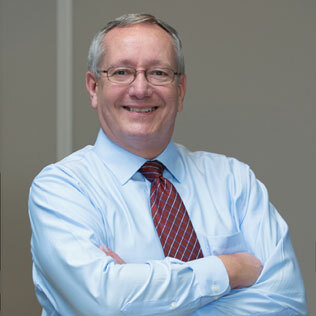 As a mediator, Attorney Rausch facilitates the parties’ negotiations by helping to analyze the issues and proposals, by assisting the parties in assessing the costs and benefits of either continuing or resolving the dispute, and by exploring creative options to end the conflict.